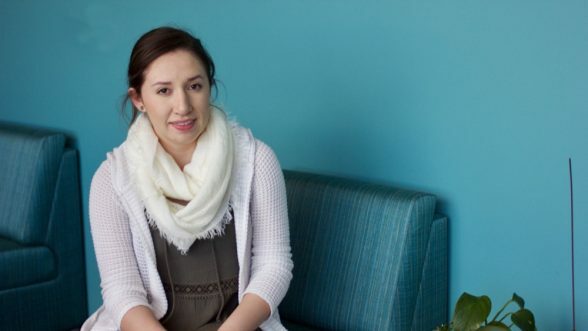 A recipient of the Esteemed Business Student Scholarship, Loren Pajares overcame a challenging upbringing to pursue her dream of a career in business. She decided to attend the University of Colorado Denver Business School despite competitive offers from other top schools around the country. Loren was born in Peru and moved to the U.S. at the age of nine. After spending the family savings to enter the U.S., Loren and her mother were separated from her brother and father for the first six months. With minimum wage jobs, Loren and her family struggled to build a new life in America. Today, Loren praises the rich education and opportunities at the Business School. Through valuable mentorship and career counseling, she has built a strong resume and secured an internship to facilitate her career. She is focusing on successfully completing her remaining courses but already has her eyes on earning an MBA. Loren credits her scholarship with the freedom from stress associated with the cost of higher education. “Being able to pursue a career without putting any additional financial burden onto my family was of extreme importance to me, especially because of all the struggles and sacrifices my parents have already endured in order to provide me with this opportunity,” she said. After graduation, Loren hopes to invest in future business leaders by inspiring Business School students to seize their own opportunities for success. The 2017 Celebration of Success event will be held on April 20, 2017 and is Denver’s premier fundraising event, bringing in world-class speakers, and raising more than $3.3 million in student scholarship funds. This year, our goal is to raise over $200,000 to put toward helping students advance their education—and we need your help. With tuition on the rise, we’re calling on community leaders like you to help make college affordability possible by sponsoring the largest and most important fundraising event of the year. Enjoy an evening with Pulitzer Prize-winning author and renowned presidential historian, Doris Kearns Goodwin, who will provide an informed and enthralling analysis on current events, with remarkable insight into the lives of the leaders who have shaped the United States. Register for Celebration of Success today!